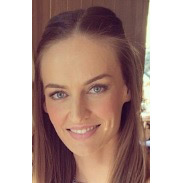 Jenna is Head of Network Performance for Metro Trains, Melbourne. She is a focussed and results-driven team player with relevant tertiary qualifications and demonstrated experience applying leadership practices to optimise individual and team performance. Jenna is passionate about ensuring the successful completion of key milestones and tasks within strict timeframes and budgets to deliver first class results, enhance client satisfaction and increase company reputation.